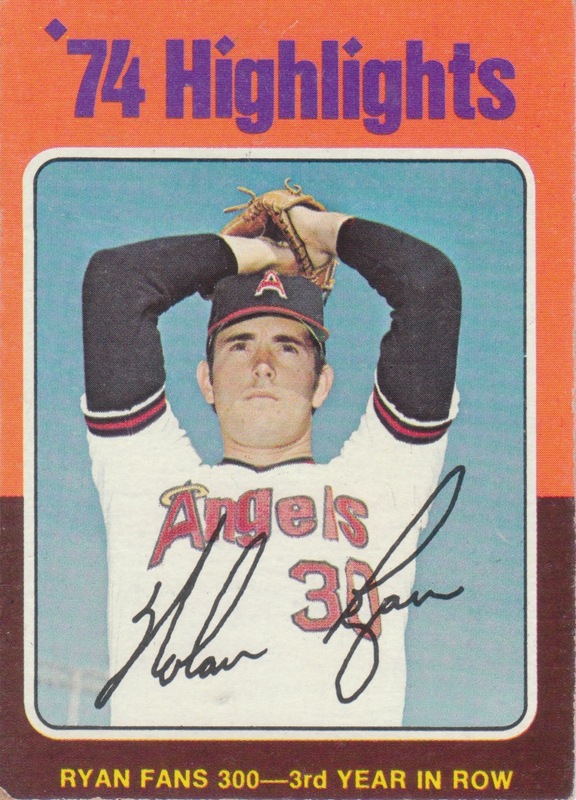 A 1975 Topps Nolan Ryan Highlights card celebrating the fact that Nolan struck out 300 batters for a third season in a row. 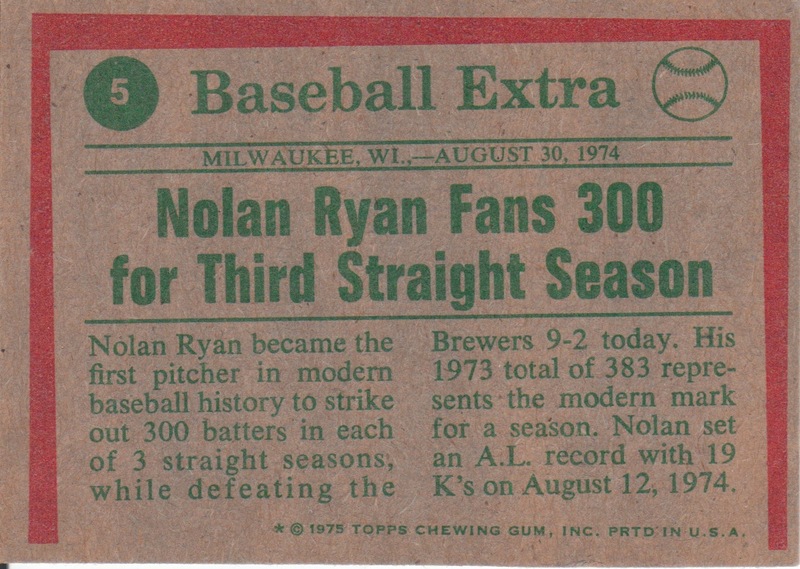 It's kind of sad to me, being such a big Nolan fan, that this is the oldest card I have of his, and honestly the next oldest are the 1978 cards that are part of my (almost) complete set. 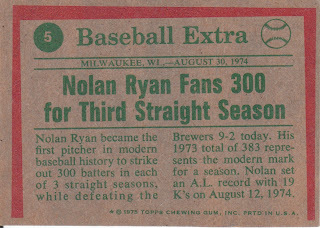 Nothing ever wrong with vintage! !